While the Kansas House was wrestling with a $500 million budget hole during the past legislative session, it also found time to pass a measure urging Congress “by any means necessary” to prohibit the EPA from regulating greenhouse gas emissions, including de-funding the agency’s efforts. The resolution “opposing the EPA’s regulatory train wreck” was taken almost word-for-word from “model legislation” crafted by a little-known Washington, D.C., group called the American Legislative Exchange Council. In recent days, ALEC’s influence, and its corporate backing, have been the focus of reports by several groups and news organizations. Its reach into state legislatures, including Kansas’, is deep. Each year, almost 1,000 bills, based at least in part on ALEC “model legislation,” are introduced in states. Of these, an average of 20 percent become law, according to ALEC. But the Center for Media and Democracy released a report that described ALEC, which enjoys tax-exempt status as a non-profit, as a public policy front for corporate interests, including Kansas-based Koch Industries, which helps fund ALEC. The Center has listed more than 800 bills crafted by ALEC at www.alecexposed.org. On its website, ALEC’s “Private Enterprise Board” includes representation of leading companies, including Koch, Wal-Mart Stores, Bayer Corp., AT&T, State Farm Insurance, ExxonMobil Corp. and others. Many of the companies that fund ALEC oppose new air quality regulations. ALEC proposes “model legislation” based on recommendations from task forces, which are composed of industry representatives, who pay fees to have a seat at the table, and legislators. The final say-so is done by a board composed of legislators only. In Kansas, a healthy contingent of legislators have been active in ALEC for years, going to its meetings, serving in leadership positions on its board and returning to Kansas with more model legislation that they then start pushing through the legislative process. In addition to the EPA measure, another ALEC-inspired piece of legislation, which was signed into law this year by Gov. Sam Brownback, is the Health Care Freedom Act, which prohibits the government from interfering “with a resident’s right to purchase health insurance or with a resident’s right to refuse to purchase health insurance.” The law is aimed at blocking the new federal health reform law, which ALEC opposes. 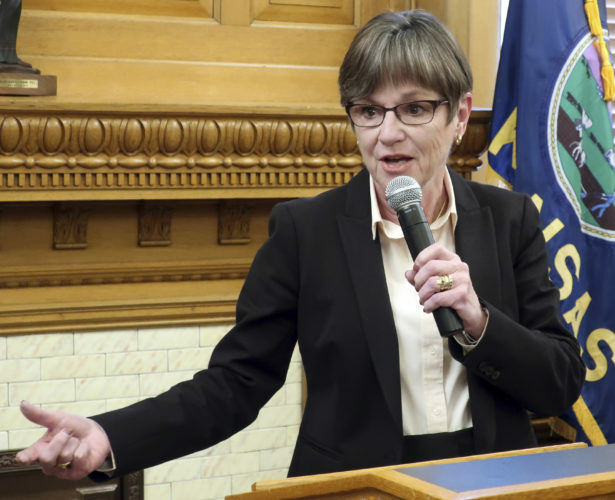 ALEC also advocates for considering the replacement of public employee pension systems with 401(k)-type plans, an issue that has gained traction with Brownback and many in the Legislature. In addition, ALEC releases an annual report called “Rich States, Poor States: ALEC-Laffler State Economic Competitiveness Index,” which takes the position that lowering taxes increases economic growth. Each year, a group of Kansas legislators goes to ALEC meetings. 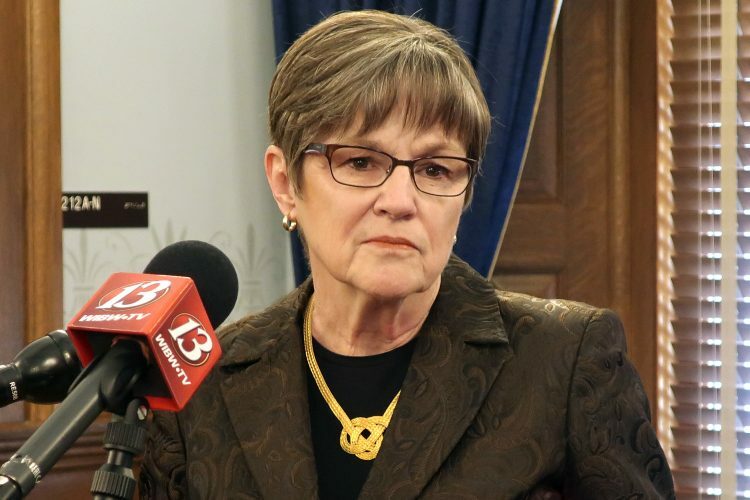 Sen. Susan Wagle, R-Wichita, served as the group’s national chair in 2006, and now serves on its board of directors. Sen. Ray Merrick, R-Stilwell, also serves on the group’s board and in 2010 was named legislator of the year by ALEC. Much of the legislators’ activity is paid through ALEC, but some Kansas taxpayer money is also expended. Last year, Kansas taxpayers were billed $9,132 to send legislators to ALEC meetings. Thirteen House members and four state senators in 2010 went to ALEC’s annual meeting in Atlanta, according to state records. A group of state legislators is preparing to go to ALEC’s next annual meeting, which will be held next month in New Orleans. 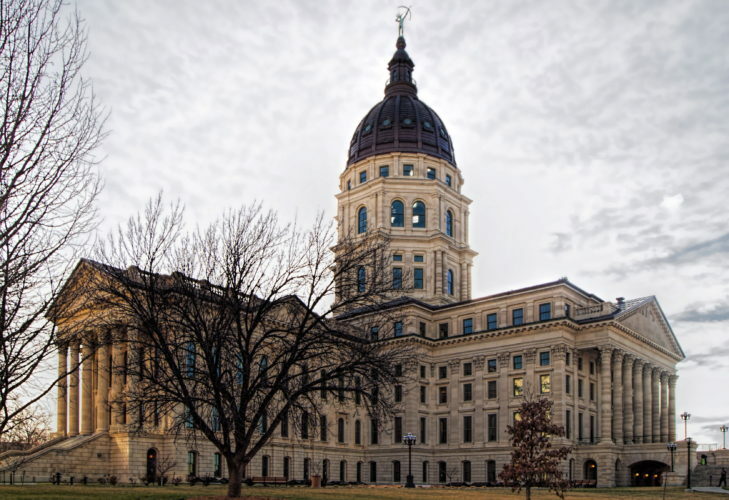 The legislators who went to last year’s ALEC annual meeting were all Republicans and many chair powerful committees in the Kansas Legislature that deal with far-ranging policies. The legislators that went are Sens. 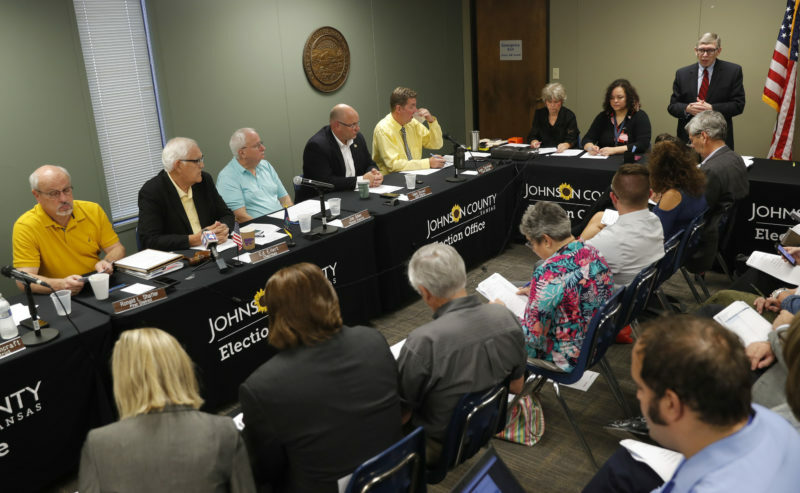 Ty Masterson of Andover, Ralph Ostmeyer of Grinnell, Dennis Pyle of Hiawatha, and Wagle; and Reps. Steve Brunk of Bel Aire, Pete DeGraff of Mulvane, Carl Holmes of Liberal, Lance Kinzer of Olathe, Marvin Kleeb of Overland Park, Forrest Knox of Altoona, Peggy Long-Mast of Emporia, Merrick, who was a House member at the time, Marc Rhoades of Manhattan, Scott Schwab of Olathe, and Sharon Schwartz of Washington. Two other House members who are no longer in the Legislature also went to the 2010 meeting — John Faber of Brewster and Deena Horst of Salina. Some public watchdog groups have said ALEC’s mix of corporate interests and elected officials is unseemly at best and unethical at worst. Common Cause has asked the IRS to investigate whether ALEC’s tax-exempt status should be revoked. ALEC “is a secretive and powerful front group of corporations that are investing millions of dollars a year to write business-friendly legislation at the expense of the middle class,” Common Cause said. ALEC has approximately 2,000 legislative members and more than 300 corporate members. Common Cause has said 22 of ALEC’s corporate members contributed more than $317 million to state election campaigns over the past decade. 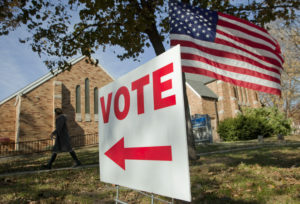 Raegan Weber, a spokeswoman for ALEC, said about two-thirds of those members are Republicans and one-third Democrats. Should taxpayers be concerned if their legislator is sitting down with powerful, monied special interests to write bills that will then be taken to state capitals across the nation for consideration? Weber says no. She said legislators should listen to those they will regulate, but they also listen to other opinions. “We’re just one outlet they go to,” she said. She said she doesn’t believe corporations have an undo influence on members. The bottom line is that legislators who are members of ALEC believe in less government, she said. Many legislators who attend ALEC meetings have their expenses paid through “scholarships,” which companies contribute to. Each state has a legislator who raises funds for these scholarships. In Kansas there is no limit on this fund-raising activity or reporting required. In Kansas, legislators can solicit contributions for the benefit of any non-profit organization established for the purpose of educating legislators. The EPA “train wreck” resolution was crafted by ALEC’s Natural Resources task force in April 2010, according to minutes of the meeting that were obtained by Bloomberg news. The panel that put the resolution together included 13 legislators from several states, including Kansas, and 21 private sector members representing Koch, ExxonMobil, and oil and coal trade groups. A year later, the resolution “opposing the Environmental Protection Agency’s regulatory train wreck” popped up in the Kansas House and was easily approved, 100-22.